Comment: The story of Abram and God is a story of deep trust and faithfulness, but I often see Abram like a child asking God to explain things a little more. It almost feels to me that while God is asking the big, hard things of a very willing Abram, Abram is constantly asking for some more clarity. The beauty of the story lies in the trusting relationship between these two – God is patient knowing that Abram will be loyal, and Abram is exceedingly faithful but needs just that bit more information to satisfy his uncertainty. 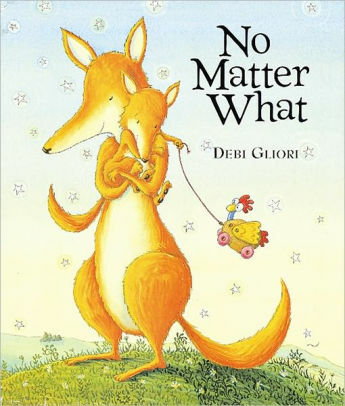 No Matter What illustrates this relationship in the endearing story of Small and Large Fox. Small keeps asking the questions, knowing the answers but wanting to be told again for reassurances sake. Large dutifully answers all of Small’s inquiries in ways that model grace and unending love. God promises Abram descendants as numerous as the stars, and Large promises Small that just as the starlight reaches them each day, so does the love they have for each another. Similar to one another, both Abram and Small need a wee bit more convincing. Comment: This portion of Paul’s letter to the Philippians is an encouragement to make the choices that Jesus would make, and using Paul as an example because he models his life after Christ, the exemplar. We have heard many times about Paul’s desires to seek Christ-likeness. In another of his Elephant and Piggie stories, Willems models how our decision making impacts others as well as ourselves. Elephant has an ice cream cone and debates the merits of sharing the cone with Piggie. It’s a hard choice to make and while he’s debating the cone melts. Elephant is frustrated with himself because he messed up his chance to share, but Piggie arrives with a fresh cone and offers some to Elephant. The silly story helps illustrate that making the decision to be Christ-like can be difficult and it can also be easy. Through this story we learn that although we may not make the “right” choice (or be speedy enough about making our choice), we can still gain. Elephant and Piggie also teach us that one decision does not determine our fate. Because of God’s grace, as Paul emphasizes in the letter, we can make new decisions the next time we’re presented with the opportunity because we press on toward the goal because we are beloved in Christ. Comment: When Jesus is responding to the Pharisees he is lamenting the choices Jerusalem has and is making. Jesus healed the sick, fed the hungry, and cast out demons; Jesus sought to gather together God’s children and shelter them like a hen protects her brood. Jesus tried to teach Jerusalem’s people how to make better choices, but they refused to listen. We, too, often don’t listen to Jesus thinking that our ways are better than the ways of the Lord, when in fact the Lord sent Jesus to teach us where we failed. In hearing today’s Gospel passage we should be compelled to ask forgiveness of God, to seek a heart of tenderness, and to request enough compassion to weep for those who suffer and those we harm. 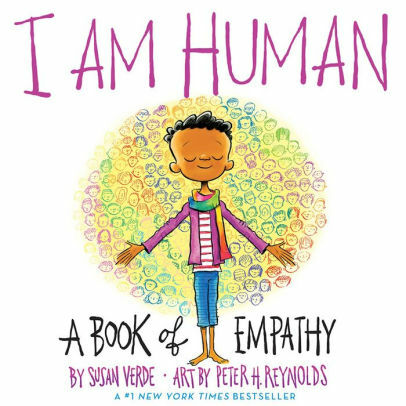 Verde’s book reminds us all that while we’re uniquely created and connected to each other, we’re also capable of hurting others through word and actions because being human means we’re not perfect. This book encourages us to make different choices and seek common ground with others. (What if the Pharisees had sought common ground with Jesus?) And, in the end, we are reminded that as we seek to be the best versions of ourselves, we will also seek the best in others. The author also includes a note at the end of the book about empathy, humanity in connection with others, and seeking loving-kindness through meditation. While a full meditation space/time may not be possible in your setting, sharing the book and then following it with the practice of repeating her simple empathy-encouraging phrases are certainly in line with Jesus’ lamenting over the harsh treatment outsiders, and especially prophets, received in Jerusalem. Thanks to Katie Barrett Todd, director of UKirk , Presbyterian pastor and Executive Director of UKIRK Greensboro, NC, for writig the Revised Common Lectionary Links this week. Lectionary Links (RCL): March 17, 2019 by Storypath is licensed under a Creative Commons Attribution-NonCommercial 4.0 International License.